A long and smooth hair is the plus point of every girl. Beautiful hair also makes you become more confident and attractive. However, you do not always have pleasant hair. There are many reasons why you may feel uncomfortable with your hair such as confusion, dryness, and so on. And one of the many causes is the loss of hair. In these cases, what we want most is a strong and fast growing hair. Instead of sitting and moaning why does my hair grow so slow then let’s find out the cause and solve this problem right now. 1 How much longer does hair grow in a month? 3 How to make the hair grow faster? How much longer does hair grow in a month? According to experts, on average hair will grow about 15-20 cm of length after 1 year, which means that each month the hair will be about 1 – 1.5 cm longer. However, this is only a temporary evaluation since the average length of hair growth is also dependent on many factors such as gender, local, care regime and so on. Before you wonder why does my hair grow so slow, pay attention to these basic elements. There are many people wonder whether the speed of hair growth of men and women are different. Some people believe that women hair will grow faster than men’s, but many people claim that men’s hair grows faster. Usually, women know how to take care of their hair as well as always find ways to own long and strong hair. According to statistics, when testing more than 10 women, their average monthly weight will be about 1.5 to 2cm, provided they have a proper and reasonable diet and minimal restriction of effect on the hair like styling or bending. You may not believe it, but the test results show that the length of hair growing in a month of a man is about 2 to 2.5 cm, although their care regime is not as good as that of a woman. Why? According to experts, when the hair is too long, the no trimming will lead to weak fibers and impede the growth of hair, while men have the habit of frequently cutting hair. Therefore, it can be affirmed that despite careful care, your hair could still grow slow if you do not remember to prune the weak and dry hair tips. Not only depends on the gender or the mode of care, each person’s natural disposition also greatly affects the speed of hair growth. According to the study, slow hair growth occurs in people with thin and weak hair. Besides, with people who often suffer from stress or poor health, it is also very difficult for the hair to grow long. On the contrary, for people with healthy body, high hormone levels not only make the hair but also the hair follicles in other areas grow rapidly. That is also why you often see men with beard as well as hair in the chest area, abdomen. Usually for people with good physique, high hormones, one day the hair will grow about 0.2 cm long, about 0.7 cm in a week and in 1 month these people will see their hair grows about 2-3 cm long. However, this is just an estimate because the growth of the hair also depends on the different natural disposition of each person. 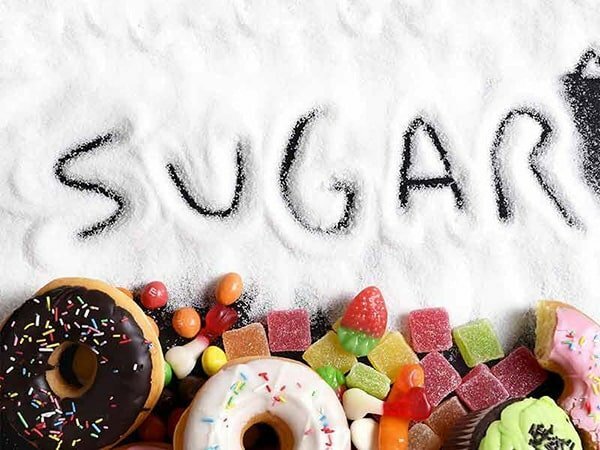 Sugar will reduce the absorption of protein, which is very essential for the development of hair. It also affects the supply of vitamin E to each strand of hair. So to help your hair grow stronger, you should reduce the consumption of sweets but does not mean to stop completely, just limited. It is best to use natural sugar from fruit, vegetables, which are good for hair. 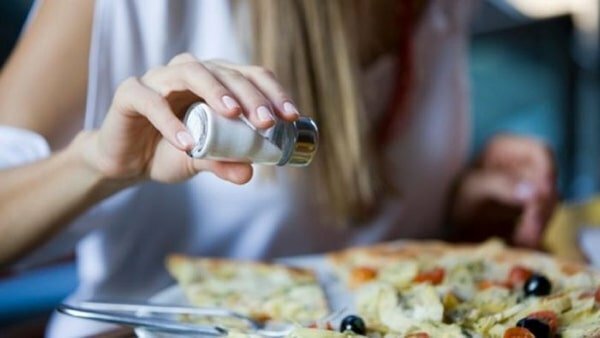 The recommended daily amount of salt is 2.300mg/ day. 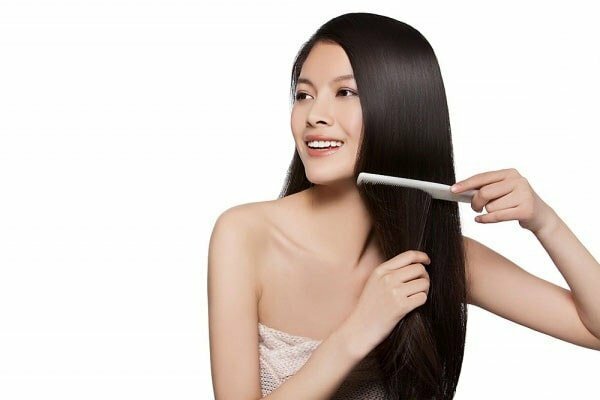 Excessive use can cause serious complications for the body: heart, liver, kidneys, seizures, osteoporosis … which also causes the hair to grow more slowly. Vitamins are essential for the body, but over-abuse can also lead to undesirable effects. According to JoyBauer.com research, the excess of vitamins will cause hair loss, developmental delay. Protein is the main constituent of hair. It can be found in many kinds of nuts: beans, tofu, spinach, lentils and foods containing cysteine (keratin amino acid). Protein is also abundant in pork, wheat germ, broccoli, red peppers. Iron and zinc deficiency can be easily noticed by small white spots on the nails, which should be supplemented with iron and zinc foods. 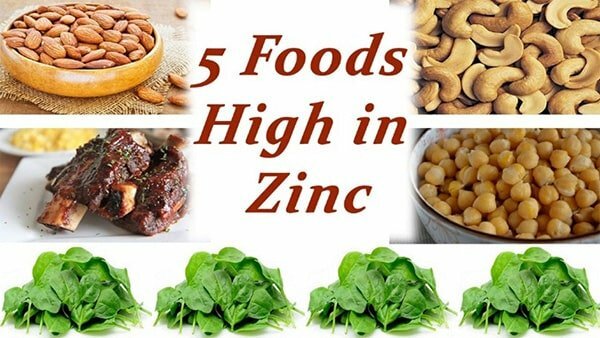 Zinc and iron are found in red meat and seafood. The habit of many young people today is to use soft drinks. 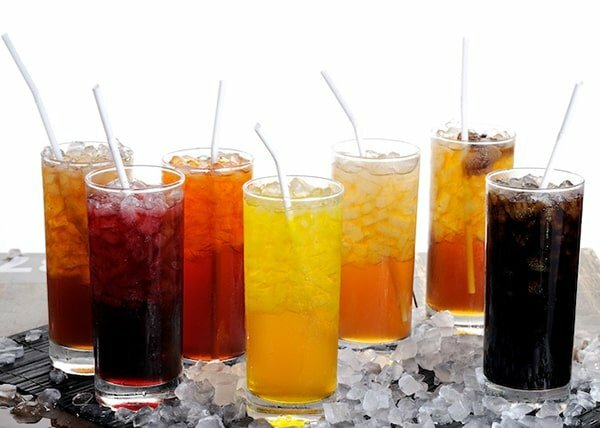 Soft drink contains a lot of ructose, syrup, coloring substance, high chemical sugars, etc. They are the main cause of dry hair and slow development of hair. Many people wonder why does my hair grow so slow while still using hair stimulating products. The use of these products will lead to counterparts if you use the wrong way. Hair care in the wrong way or use of unsafe hair care products can lead to the slow growth of hair. Normally, hair that goes through styling too many times will grow slower. In addition, styling or improper hair care causes the hair to lack the time to recover. This is very harmful to vietnam human hair. How to make the hair grow faster? Green vegetables provide many health benefits for the skin, hair and body. Green vegetables contain proteins, minerals, vitamins and other nutrients that are beneficial for hair growth and make the hair healthy. Green vegetables are the best foods to increase the growth as well as the thickness of the hair. Leafy vegetables such as spinach, lettuce, cabbage, broccoli contain a chemical called methyl sulphonyl. Methane increases the production of keratin. Keratin is a protein that enhances hair growth and stimulates hair growth. Green vegetables also help to reduce hair loss. 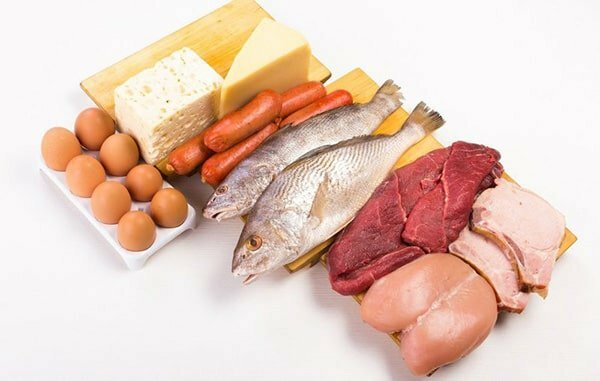 You should eat lean meat (chicken, turkey …) as they provide large amounts of protein needed to help build the horn stimulating hair follicles and boost the growth of new hair. Fish and seafood are foods that contain omega-3, which is essential for healthy hair growth and nourishment. However, you should also arrange a reasonable diet so that your body does not become excessively acidic, causing many bad conditions to other parts of the body. In addition, you should drink plenty of water every day, drinking an average of 6-8 glasses of water a day. Moisture in the water makes the hair stronger and thus grows faster, stronger. Every day, take 5 minutes to massage gently for the scalp. This stimulates the scalp to provide nutrients and hair also grows faster, healthier. 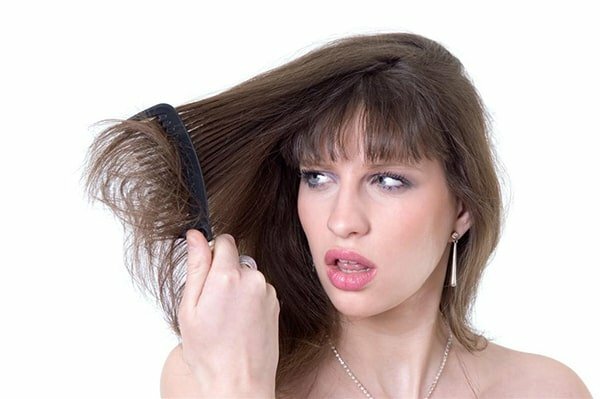 Make a habit of combing with a round brush 1 – 2 times a day. This stimulates the scalp secretes the nutrients, stimulate the hair grows fast and healthy. However, you should brush gently and in a certain way to avoid causing damage to the fragile hair. You should avoid chemical products stored and accumulated on the scalp. When you shampoo your hair, shampoo all the oil in your hair. The long-lasting chemical composition on your scalp will damage your skin and hair. When choosing hair care products, you should look for reputable and quality brands. Excessive stress and the use of certain drugs can cause hair to grow slowly. However, it is not possible to stop taking medications as needed because of slower growth. 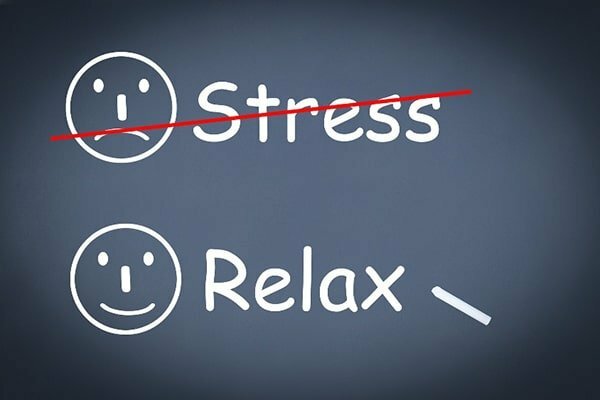 If you are stressed, try to minimize it as soon as possible by resting, relaxing. It is not only good for your hair but also good for your health. You can use coconut oil and lavender essential oil. They are effective in promoting hair growth. Apply 2-3 times/week will help hair grow faster and stronger. Here are some causes for the why does my hair grow so slow to question and how to fix it. I wish you a successful application of these methods to have more beautiful hair. Beautiful hair will help you stand out a lot.